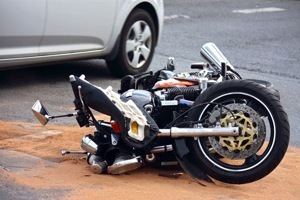 Have you or a loved one sustained injuries in a bicycle or motorcycle accident? If you have then we are your advantage when it comes to a personal injury claim. We know what it is like on the road and how drivers behave towards both bicyclists and motorcyclists. If you have been injured, it is vital that you protect your rights and get the necessary medical treatment you need. In order to fully recover for your loss you need a skilled accident lawyer who can help you navigate the complexity of your case. Our legal professionals will assist you with understanding the complexity of the personal injury case, vehicle and traffic laws, medical concerns, insurance laws and issues, negligence and liability laws as well as be your advocate to the insurance company. Contact us so we can provide a free consultation and evaluate your case. Our Motorcycle & Bicycle Accident Lawyers in Toronto will ensure that you get the care, treatment and compensation which you deserve following your accident. Retaining Goldfinger Law immediately after your bicycle or motorcycle accident may be the difference between having a successful case and getting the medical attention and compensation that you need; and not. 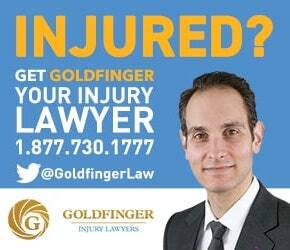 Call Goldfinger Law today for your free consultation. Cars and trucks have to share the roads with bicycles and motorcycles. Some municipalities and cities are designing and re-designing their roadways to be more bicycle friendly. They are also designing more bicycle paths. When a car hits a light bicycle, or a motor cycle; it doesn't take an expert to tell you that in all likelihood, the driver of the bicycle or motorcycle will have sustained the majority of the damage. Bicycles and motorcycles do not have the same safety features as cars. They are not equipped with the basics like seatbelts or airbags. They are not equipped with re-enforced bumpers to absorb collisions. Some cars on the roads are the equivalent of light armoured vehicles. And when these vehicles make contact with a bicycle or motorcycle; even the slightest impact at the lowest of speeds may result in catastrophic injuries. There are a number of things you can do to stay safe while biking. There are safety measures which cyclists can take to minimize injury such as wearing a helmet or wearing heavier clothing, but this may not be enough. Helmets may save lives, but the injured accident victim whose life is saved by the helmet still needs to be looked after; and that's where Goldfinger Injury Lawyers steps into the picture. 5.0 "I couldn't be any happier"